The best part about some foods is how flexible and versatile they can be. It thus makes these foods a must-have in your pantry because come what may there would always be some transformative and tasty way that you can turn it into a delicious meal. Jumia Food shares 4 foods you can do with almost anything. It is no wonder that rice is the most consumed food on the planet. Rice is an extremely versatile food that has an impressively wide range of uses. This is largely due to the fact that there are so many different types of rice which include: short-grain rice (which is great for making rice puddings or rice molds); medium-grain rice; long-grain rice; white and brown rice, aromatic rice and wild rice. These are just as flexible and versatile as rice. With potatoes, you can choose to boil them and eat them whole, smash them to your preferred texture and eat them mashed, mash and cook them for pancakes or chop them up and use them as ingredients in something else. There are so many tasty ways to make potatoes into a meal and its ‘preparation methods are nearly endless’. The many types of potatoes that are available also contribute to its versatility. Some of its types include: russet potatoes, red potatoes, white potatoes, yellow and yukon gold potatoes, sweet potatoes, irish potatoes and purple/blue potatoes. Bananas might look like they are pretty plain and straightforward, but you will be surprised at just how flexible they can be. 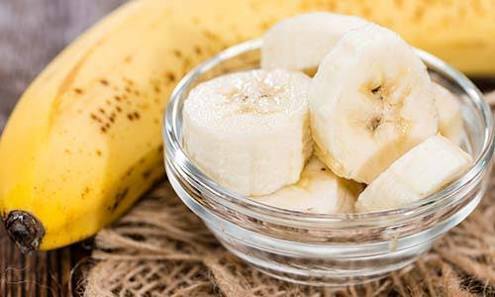 For one, aside being peeled and eaten straight up or sliced into your meal, bananas can be added to smoothies to add some thickness and sweetness to it. Additionally, you can also make banana bread or banana pudding with your bunch of bananas rather than just peeling and eating them straight up. Bananas are also great for use as ingredients to several tasty meals, simply go online and check out the endless list of recipes and preparations that involve banana as an ingredient. Common peppers like bell pepper and chili pepper are among the most versatile varieties of pepper. The number of ways these peppers can be prepared and served make them an essential food to have in your pantry. You can serve them raw as a snack, sliced up over salad, stirred in fries, sauteed with sausages or other meats, chopped up fine and added to eggs, salad, rice or practically anything you want to add that pepper flavour or sweetness too. However, this is mostly done with bell peppers. Chili peppers, on the other hand, can also either be stuffed or sliced up and added to the desired dish to add some spiciness and heat to the dish.